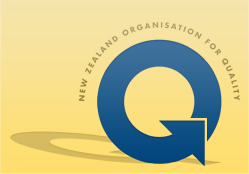 NZOQ's two-year Diploma in Quality Assurance (DipQA) is designed for quality and risk managers and practitioners who are interested in further enhancing the quality improvement, risk management, and monitoring capability and function within their workplace. The DipQA is offered over two years and provides practical, evidence-based strengths and frameworks that are focused on building capability in quality management leadership and strategy. Please register your interest today for this exciting opportunity by contacting Tess Stewart at NZOQ National Office (+64 6 351 4407). The effectiveness of any quality management system is a function of the product or service flow. Variations and defects obstruct the flow and result in delays and rework, as well as dissatisfaction for customers. The alignment of processes, methodology, and quality tools are needed in order to achieve maximisation of product/service delivery. The Diploma in Quality Assurance (DipQA) covers the pathway to achieving effectiveness. The DipQA is undertaken by 'at-your-own-pace' distance learning, with a high level of support from experienced course tutors (by email, videoconference, and telephone). The DipQA offers the opportunity to gain a significant qualification both to support your role and to enhance your career prospects. Who should study quality assurance? Managers, team leaders, and supervisors with a responsibility for quality. Project leaders involved in quality improvement. Technologists, operators, and process controllers with day-to-day responsibility for quality. Service providers and manufacturers with a general interest in quality. An overview of quality principles and practices. Understanding of quality management, quality systems, service quality, quality awards, quality improvement, quality assurance, and quality control. Practice in the use of the tools and techniques used in quality improvement. Knowledge and skills for professional registration. This comprehensive programme covers the principles and practices of quality management and quality systems and explores the tools and techniques used in developing, implementing, and improving quality approaches within organisations. It will prepare you for a career in specialist quality roles (supervisory and management positions) or areas like auditing, evaluation, and implementation of organisational systems and quality improvement. Individually, all the above courses qualify for the New Zealand Trade and Enterprise voucher scheme for eligible businesses. The programme contains the knowledge and skills for professional registration as a Certified Quality Practitioner. Once you have completed all six papers, you may also be eligible for Exemplar Global QM certification. An opportunity for Certificate in Quality Assurance graduates! Students who have previously completed the Certificate in Quality Assurance (CQA) will be awarded Recognition of Prior Learning (RPL) and may enter the DipQA at Year 2—a significant incentive to maximise and enhance your quality learning and qualifications. DipQA Year 2 builds on and enhances the learning undertaken in Year 1 and incorporates the completion of significant practical quality and risk management activities based in the student's workplace—a win-win outcome for both students and their organisations. The papers are designed to include demonstration and implementation of strong project management skills in undertaking the detailed quality and risk management projects which the student selects, based on the needs of their workplace. Students entering the DipQA at Year 2 will be required to undertake a Bridging Course (DipQA601) if their CQA qualification was awarded prior to 2009. Recent graduates will progress directly to DipQA602 and DipQA603. You may be able to study the Graduate Diploma in Quality Systems (Level 7) from Massey University once you have achieved this qualification.